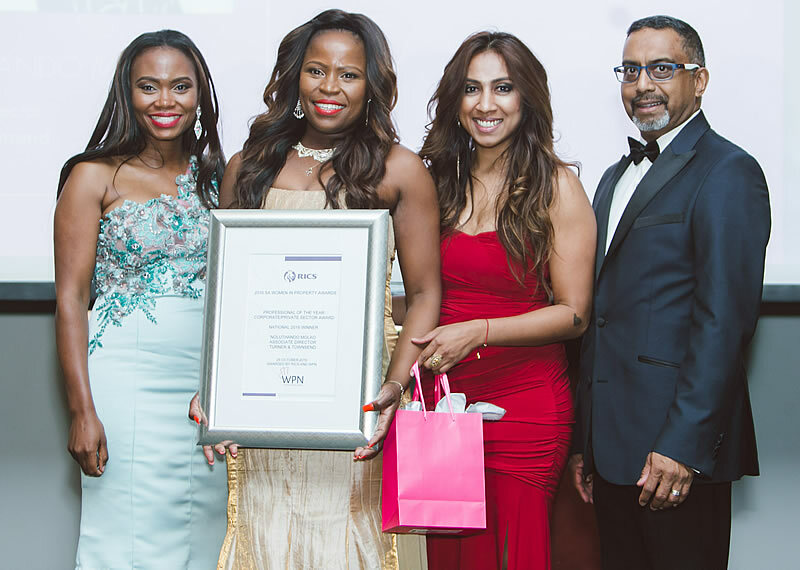 The South African Women in Property Awards seeks to recognise an exceptional woman within the property industry. These awards recognize women who have excelled in the sector and had a remarkable year. 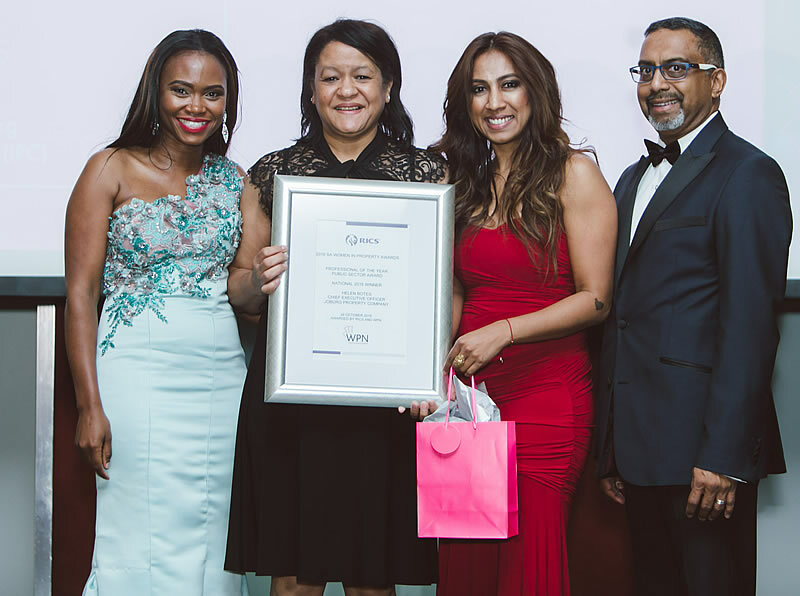 More than 300 guests celebrated the winners, with special guests the First Lady Masina and Ms Phindile Mbanjwa, Head of Department Gauteng Department of Economic Development, as well as many prominent industry leaders. This is the second year that the awards have been held recognizing outstanding achievement by women in the Property Industry. 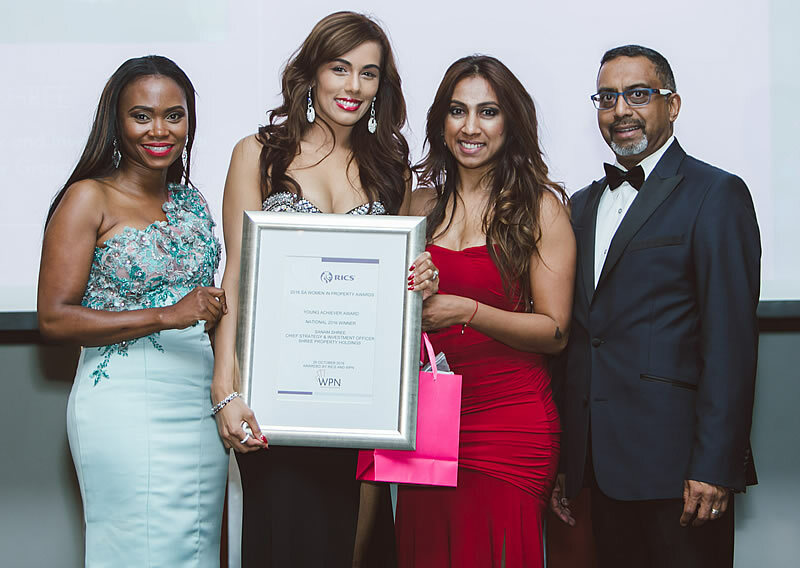 Genevieve Naidoo, the Women’s Property Network (WPN) outgoing Chairwoman, says that not only are we recognizing great women who have gone beyond their call of duty, but we also are able to raise funds towards the Education Trust which provides bursaries to female students in tertiary environments pursuing property related degrees. In the last few years the sector has seen several women appointed as the CEO’s of property companies, as well as the key appointment of the third female president (since1966) of the South African Property Owners’ Association (SAPOA), Ms Nomzamo Radebe. 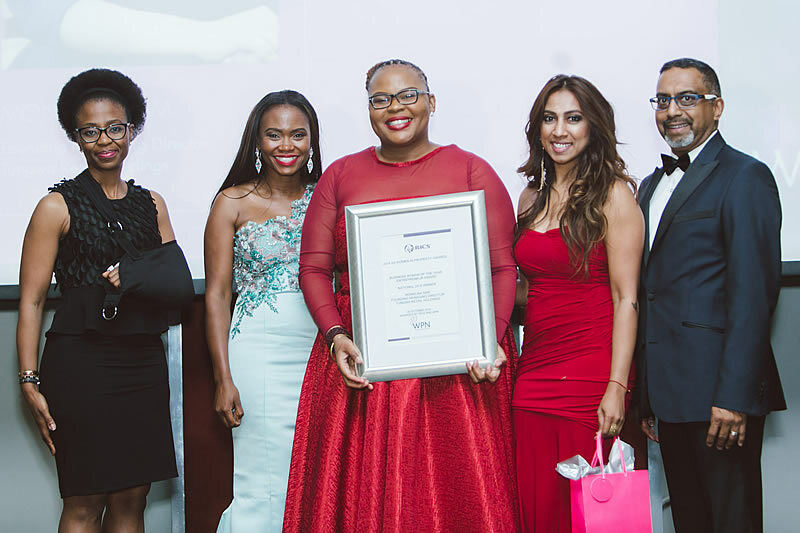 “The SA Women in Property Awards is a collaborative platform dedicated to recognising outstanding leadership, inspiration, vision, and innovation in organisations that have stepped up and shaped women’s roles within the private and public sectors,” says Sandi Mbutuma, WPN incoming Chairlady. The awards categories reflect a wide spectrum of work these deserving women from the public and private sectors are involved in. This includes CEO’s, executives and leaders in corporate South Africa, SMME’s, government departments and agencies, as well as entrepreneurs,” she said. The winner in this category was Sanam Shree, who was recognized for the significant role that she plays within Shree Property Holdings, who in a short space of time has moved through the ranks and is active in many industry and youth initiatives. The winner in this category was Monalisa Sam. The nominations in this category were cause for much healthy debate amongst the judges, as the women nominated were all strong candidates from varied backgrounds that have made a contribution to the industry. The final consensus was that Noluthando Molao of Turner and Townsend be recognized as the winner as a result of her incredible achievements contribution to the built environment. The 2016 winner in this category was Helen Botes, acknowledged for her phenomenal work for the City. Also at the gala dinner, The Lisa Blane Award was introduced this year, in recognition of Lisa Blane and her significant contribution to the WPN and property industry. Lisa was a founding member of the WPN and an originator of the Five Star and Rising Star Awards such that women from the industry could be acknowledged for their significant contribution. Lisa was also a staunch supporter of education and thus the WPN Educational Trust such that young women can be well educated and adequately equipped to fulfill roles within the industry. 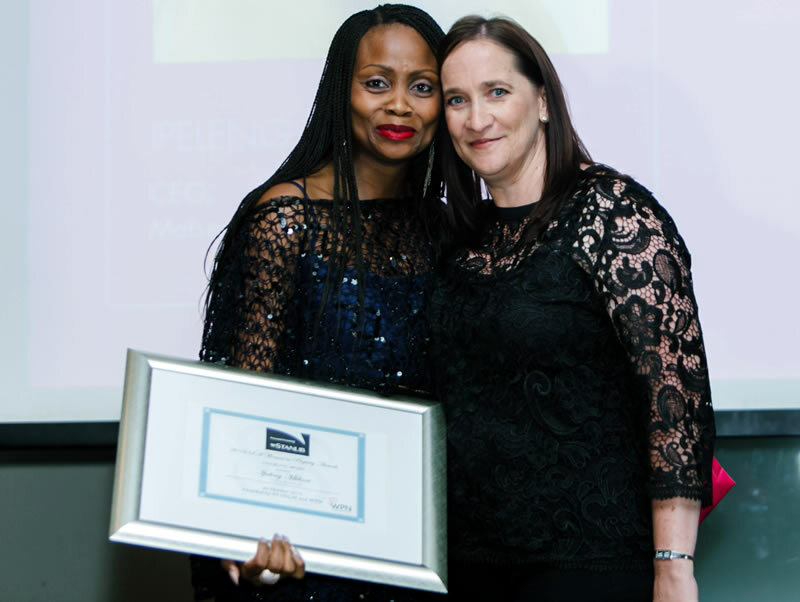 Ipeleng Mkhari, CEO, Motseng Investment Holdings was acknowledged for her significant contribution to the industry and for giving tirelessly of herself. TC Chetty – Country Manager: RICS South Africa and Chief Executive, TC Chetty and Associates (TCAA). Gary Garrett – Head of Real Estate Finance, Standard Bank Corporate and Investment Banking. Genevieve Naidoo – Head of Credit Risk Real Estate, Standard Bank Corporate and Investment Banking and WPN Chair. Peter Levett – Managing Director, Old Mutual Property and President elect for SAPOA 2017. The event was proudly sponsored by Airports Company South Africa (ACSA) and the Royal Institution of Chartered Surveyors (RICS).